There’s no denying that 2014 has been a great year for the engineering industry, and we&apos;ve witnessed a variety of exciting developments within this innovative field. Hence, with Christmas nearly upon us and 2015 in sight, we&apos;re taking a quick look back at some of the greatest and most exciting feats of engineering from 2014. One of the biggest engineering highlights of 2014 has got to be the Rosetta space landing, which saw a spacecraft land successfully on a comet for the first time in history. This was a landmark moment for space exploration. 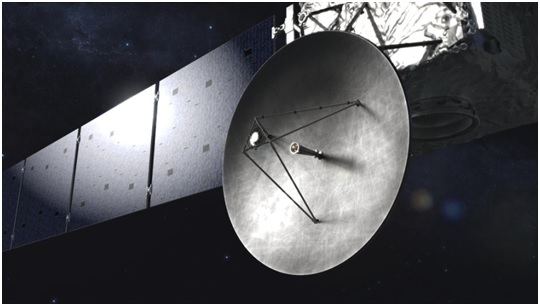 Interestingly, the British engineering industry had a key role to play in this mission, and was heavily involved in crafting the revolutionary piece of engineering that was the Rosetta spacecraft. Thus the completion of this mission back in November was undoubtedly a proud day for the British engineering industry. On a more fun note, 2014 also saw engineers develop the first ever real-life hover board, capable of floating around an inch above the ground. Whilst this technology is still in its early stages, with further development and refinement needed, it is considered by some to have the potential to be revolutionary. 2014 also witnessed the rise of the 3D printer; a machine capable of building a variety of objects based on digital blueprints. Thanks to the development of this machine, 3D printing has now been transformed from theory to reality. These revolutionary devices are expected to really take off in the coming years, and some experts believe that, as well as being utilized in the manufacturing industries, they will also become commonplace in people’s homes too. 2014 was a pretty exciting year for the field of robotics too, and saw a number of important advances within this field. For example, this year saw the development of a lightweight robotic exoskeleton that endows its wearer with super-human strength, dubbed the “Soft Exosuit”. This was representative of a major step forward in the field of wearable robotics, and is thought to have a wide range of potential applications. As mentioned in our previous blog, this year also saw the unveiling of a number of biomimetic robots that are revolutionising the robotics field. These are just a few examples of some of the highlights from the world of engineering this year. Here at European Springs, we are a leading spring suppliers , and many of our products are used for a wide range of exciting applications within the engineering field. For more information about our range of high quality spring products, please do not hesitate to contact us today and a member of our expert team will be happy to help you with your enquiries.